How to use maps on external SD card? 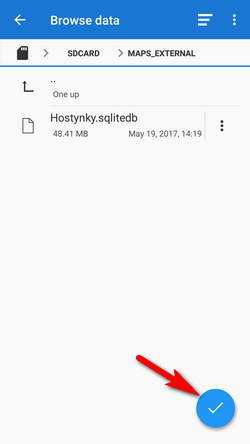 How do I move them to the external SD? How do I add them to Locus? Mobile inner memory capacity is still an issue for many Android users. It is still too small and soon after starting using your new device the memory is full. External SD card has always served as a solution of this problem but full read/write access to the external SD card was killed when Android 4.4.4. KitKat was launched. With it a lot of problems came for Locus users. We describe the issue thoroughly in this chapter >>. 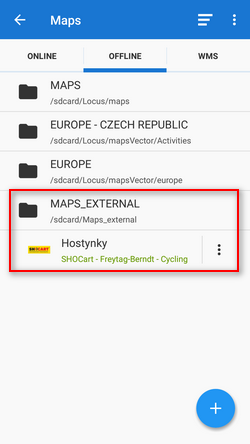 Here we would like to explain just the main concern of Locus users - is it possible to use maps on external SD card? Yes, it is. 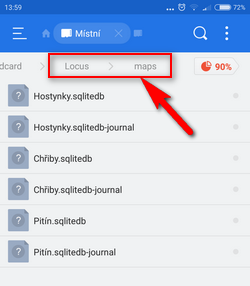 By default, Locus stores/downloads raster maps (consisting of raster images - png tiles) in Locus/maps directory in the inner memory of your device. As the maps are no longer in Locus/maps directory, Locus does not see them - we must tell it where to find them. 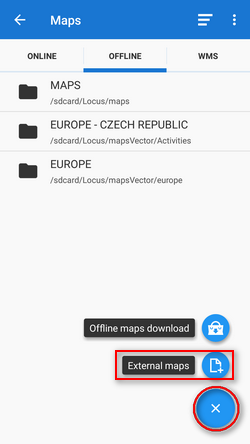 Locus Map needs its internal folder Locus/Maps for downloading new maps - new maps can not be downloaded directly to the external SD card. Therefore, the procedure above should be performed every time you download a new raster map if you need to free inner memory space. 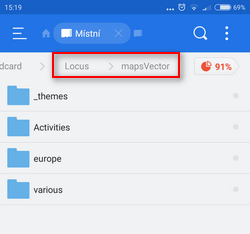 LoMaps or other vector maps are stored by default in /Locus/mapsVector/ directory. Unlike raster maps, vector maps can be downloaded directly to the external SD card with this setting so it is not necessary to move new vector maps to the external SD card manually. 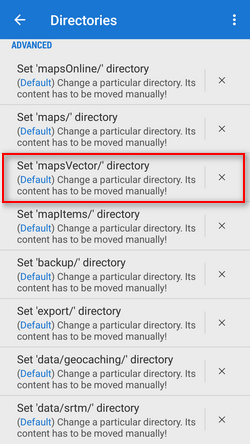 If you have Android 4.4.x, follow the same instructions here as for the raster maps!